Preparing for a wedding is wonderful but it could also be very stressful as you have a lot to plan for. From creating seating arrangements, designing invitation cards all in a bid to ensure that your wedding is perfect. Your wedding is one of the most favored days of your life. Ellesmere Port Minibus understands that you need to be happy and serene, on this special day. Once you inform us of the wedding date and plans, we will take care of the rest. Ellesmere Port Minibus has for over a decade, overseen transport for many love birds and it is always a pleasure. We assure you that all your guests will be picked on time and smoothly transported in between ventures. Planning for a wedding can be overwhelming that’s why you should reduce the burden by allowing Ellesmere port minibus hire take charge of all transport arrangements for your wedding. We understand everything about your big day. We are well experienced in ensuring that your wedding goes as planned. Ellesmere port minibus hire will ensure that the bride gets to church right on time. 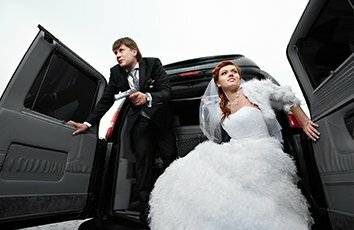 We will also ensure that all your guests don’t miss their way to the venue. You are free to choose any vehicle in our fleet but we will recommend an executive or luxury coach as this will ensure that glamour is added to your wedding. All your guests will also arrive at your wedding excited and relaxed. Our executive and luxury vehicles are well equipped with bathrooms, seats that can recline as well as entertainment to ensure that your guests are well taken care of irrespective of the distance of the journey.